There was one word on my mind. One word that to me summed up this region on the edge of the boerewors curtain, one word that that is a theme amongst nearly all its reds. Green. Green. Green. Spring green, green like a jungle, green as a suburban golf course. It was hardly a blind tasting. I could see the bottle was from Hillcrest Winery. I knew the man to the right was the winemaker Graeme Read, and I could assume the wine was the flagship, due to its Gaddafi-like adornment of medals. The name of the wine escaped me at the time, but I remembered it was a Bordeaux blend. Graeme poured me a glass. I swirled and sniffed. Damn, I thought, it’s bloody living up to Durbannville’s reputation. A thick, dusty, green aroma greeted me. Kinder people would call it herbaceous, more tight-arsed tasters would call it green, mean, GODDAM-PYRAZINE. I quickly swirled and snifffed again before tasting, desperately searching for some fruit beneath the blanket of green. Perhaps some red fruit. A little cassis. Good enough. I tasted, slurped, and swallowed. I was surprisingly taken with its freshness, elegance, and weight. There was some more black fruit on the palate, and the length was good. However, that green character pervaded everything. Around every corner, at the end of every good part of the wine lay a leafiness, thoughts of snapped green stalks, and tramps through wet grass. I do not hate green elements in a wine, but here it was just overwhelming, and for me, threw the wine off balance. I looked at the medals with a mentally cocked eyebrow. The two of them looked at me expectantly. “I like the freshness. I think it’s elegant. But that dusty, greeness. Well, err, I think it’s a little too much. Roland concurred, if a little bit more vociferously than me. I admired Roland’s forthrightness with the winemaker. He was of the opinion that Durbanville could simply not – at this time in its history – produce wines with a purity of fruit that can be found relatively easily in France. “Would you like me to get a bottle of Bordeaux to compare?” Roland asked. “No no, no need.” Graeme responded. Odd man I thought. Let us all compare until the small hours. Roland left and I sat with Graeme in the office. He looked at me and asked what I thought of his wine. And it was true. The wine was very good on the whole. Rich, and weighty from the South African sun; fresh, bright and balanced structurally. Except, that the pervading green dominated the flavour too much. It was like someone had walked up to a beautifully finished oil-painting, and haphazardly tagged it with a spray can. Roland returned with a bottle of Lacoste Borie 2009 from Pauillac. It was a clever comparison. The wines had a similar make up, being primarily Cabernet and Merlot, in a similar price bracket, the Lacoste sells for R395 (wine cellar) , and the Hillcrest Hornfels for R250 (cellar door) and both were from the 2009 vintage (although being in different hemispheres this means little apart from they are around the same age). Immediately I found the Lacoste to be a leaner, sleeker wine. It was a little cold to begin with, but as it warmed up there was some sweet fruit, cherry, touch of tobacco. The finish was tangy, the tannins fine. Crisp and balanced. The fruit was purer, as Roland had anticipated. Graeme seemed more taken with the wine’s tannins than anything about greeness. I thought he was devilishly avoiding the obvious. I went back to the Hornfels. The Bordeaux seemed to magnify its green character grossly. Apart from this character – if it is possible do ignore it – on pure quality I don’t think the wines are miles apart, but to me it was quite clear which wine I would prefer to drink . The Lacoste, by a mile. “You two are lucky I’m not in a sensitive mood,” Graeme chuckled. He seemed to accept Roland’s criticisms with good humor. He went on. “But wine’s more than that,” Roland interrupted. Graeme, it was clear, was warming up for a scene. He got louder, his gestures wilder, sending up the idea. Ah, Roland, always the wine salesman. This conversation stuck me as very important. Not because I preferred a Paulliac to a Durbanville bordeaux blend. That, at this point in history, is as normal as preferring a cup of fresh coffee to a week old, cold, cup of instant. But because of how biased our palates in South Africa are. I think the Hornfels is, on the one hand, an accomplished wine. It shows elegance and freshness, characters that many of our big name producers that sell wine at the R250-plus range sadly lack. However, it has been heavily awarded. The greenness in the wine does not seem to concern the judges. It concerns me very much. I may be wrong, or at least, happy to be argued with, but this did not smell like terroir, it smelled underripe. Vegetal. The lack of international wine being drunk by those in the industry. I had to wonder if we were all drinking more wines like the Lacoste would we be so happy to put up with this greenish streak? Would we be as comfortable with it as all the medals seem to suggest? It is where preferences, ideas about what wine should taste like, and science collide. If we are comfortable with this character it is not going to change. If we – South African wine drinkers – limit ourselves to only that which we know and are comfortable with, we will never think it a problem. It is a fine line. I have written before of how we are over-concerned with how Burgundy tastes in relation to our Pinot Noirs. A balance needs to be struck about which wines are excellent examples and what we can learn from them, and what is unique about our own wines and championing that uniqueness. *The words in this post were not transcribed or recorded. I have absolutely misquoted, Roland, Graeme and myself. I think I have captured the spirit and truth of the conversation so I doubt they will mind. Because, any of you that know me even slightly, will question this sudden perfect memory. Hah. If I have got a single word right here I will be impressed. I really enjoyed reading your article. Having tasted a fair few South African Bordeaux blends whilst there earlier this year and now having just spent over a month in France, predominantly in Bordeaux, I think you have pretty much nailed a really important point! France has generations of experience of trial and error in wine making and vine growing, especially finding the perfect place for each grape variety, I often struggled with understanding the meaning of terroir but having been to places like Burgundy and Bordeaux, where it’s so important, and seeing differences first hand between parcels of land within stepping distance of each other and tasting differences in the wines from each parcel, has helped me make sense of it, bit of a light bulb moment. Don’t get me wrong, not all Bordeaux is perfect, and you still get green characteristics if picked underripe, which does happen, (ah mentioning ‘green pepper’ when describing a wine was tantamount to spitting an insult in the winemakers face). However, I was very impressed by many of the blends I tasted in South Africa and winemakers nowadays are blessed with the knowledge of much better vineyard management and winemaking techniques and equipment to help make better quality wine. It won’t be a fast process but it will evolve and what is good now in South Africa can hopefully only get better and compete on a world scale with the ‘oldies’. My husband and I certainly make efforts to introduce South African wines in our tastings and intend to continue to do so. I absolutely think that we are improving, and making better and better wines each vintage. It’s kind of the reason I wrote this in the way I did. It was about the conversation and two wines that day, not about the industry as a whole. I still think, however, that many fine wine producers and drinkers here tend to exist in a bubble. I bubble that I have my one foot firmly in. I taste and drink far too few wines that are made outside South Africa. Wine, for all its links to where it is from, is an international product. By not exploring, and really finding out what is best where, will give you a skewed view of what is made locally. Sometimes this is a good thing, sometimes it is a very bad thing. Balance, I guess, is everything in wine. I’ll agree with you that greenness is a huge problem with many South African wines in general, but the implied conclusion that Bordeaux wines do not have the same problem because they’ve been making wine there for so much longer than we have, is utter balderdash. It’s got everything to do with where the grapes are grown (soil, climate, clone, etc. ), how they’re grown (in the fuller context of vitucultural management), and when they’re harvested. You cannot make a silk purse out of a sows ear, no matter how many centuries you attempt to do so. To cite an extreme example, you’ll never make a great Cabernet, even by SA standards, in the Swartland, no matter how long you try to do so. Just like in France, and other winegrowing countries for that matter, winemaking is the art of the possible. What’s possible in Bordeaux will likely never be possible in South Africa, no matter how many centuries of winemaking water pass under our particular bridge. That’s perhaps a harsh reading. Perhaps I could have been a little clearer. I am sure there are plenty green wines in Bordeaux. But that really is not the point I was trying to make. I think we have become comfortable with elements in our wines because of a lack of international wines here. Specifically wines that are nailing certain varieties. I did not say all bordeaux wines, merely the single one we tasted. It had a green element, but it was entirely complimentary. Are you suggesting that great bordeaux blends cannot be made in Durbanville? That Durbanville is a sow’s ear? I think not. Or to be more honest, I don’t know. But by carrying on making wines with this thick, dusty pyrazine streak in them, they are never going to be great. It has become extremely fashionable to knock ANY form greenness. Curiously, to the extent that it supersedes almost all the other factors relating to wine. Not necessarily for you, Harry (at least you noticed some redeeming qualities), but I’m generalizing. Can you imagine back in the day (even with added Cinsaut), how green those 11% and 12% ABV Cabernets must have been, before berry selection and all the other methods employed nowadays to avoid green and under-ripe nuances? Think about that. Yet those oldies are the ones that have stood the test of time. We go back to the wines of the 60’s and 70’s and marvel at how well they kept, compared to the wines of the eighties and nineties. There are reasons for that and new wood is not by far the only culprit! So nowadays we get a red wine with some pyrazines and tannin and most people do not even consider the infanticide of opening such a wine a decade or two too early. Often people would much rather prefer a rounded, soft, berry-fruited wine with easy acidity and high alcohol (let’s face it: anything above 14% is actually high, now that we’re talking about what people’s palates get used to). I personally think that the Hornfels and Quarry wines will age with great benefit and I applaud their fresh acidity and overall balance. Everything about the wine screams “cellar me longtime!” – and so we should. I hope I will live long enough to guzzle the ones in my cellar. Sure, some ridiculously unripe and badly made wines will never turn the corner – even after you mature the crap out of it. I don’t feel that the Hornfels and Quarry fall in that category, though. I’m also thinking here of wines like the Cordoba Crescendo, which had ample tannin and pyrazines when young, but matured into real gorgeous wines, because of their structure. I do drink wine from all over the world (and have spent an obscenely significant portion of my income at Wine Cellar this year), but – to my palate – even some Bordeaux is losing balance and freshness due to over-ripeness. I applaud anyone who tries to make wine that one can DRINK without getting tired because it’s not balanced or the winemaker’s hand was too heavy, even if it means I have to be patient with it. In fact, I prefer wines that require maturation to show their best. And yes, our winemakers should taste more wines from other countries, but they should also taste old wine from our own country, every chance they get. Especially if they’re aiming to make wine that can mature well. Fair comment. And as I said I am happy to be argued with and proved wrong. I’ll also admit to not having drunk wine long enough to be able to know how a wine like the Hornfels will age. Also, it hasn’t been around long enough for anyone to know, that was one of Roland’s points, but more in relation to how easy it would be to sell. I really am not one of those who bash greeness for the sake of it. Actually, this post is not all about greeness. It could have been about another quality, I guess. I like a bit of it. I’m no green nazi. I’ll concede we were drinking the wine in its youth. But at this point, the pyrazines dominated that wine hard. It was all that I was left with in my mouth. I’ll need to take Graeme up on his challenge and put away some Hornfels, and go back to it in 10 years time. I have been labelled “a beached marine biologist” and now my wine has “a Gaddafi-like adornment of medals” . I love it!! Looks like I’m not, nor are the judges (who appear to have a high tolerance of pyrazines), going to convince Roland and his merry band of green men, that the Durbanville Ward is not just about greenness. I maintain that as long as a wine is balanced in all respects (ph, acid, flavour, complexity, oaking etc.) then a pyrazine component ELEVATES the flavour profile. I don’t think that one can categorically label a particular region a pyrazine zone. It’s more complex than that. I know that Roland is dismissive of a wines chemical analysis, but he might just have to digest this. The Hornfels 2009 has a IBMP concentration (herbaceous / vegetative aroma) of 36 nanograms (detection threshold is 6 ) an alcohol of 13.8% and contains a preponderance of Cabernet Franc, Cabernet Sauvignon and Petit Verdot. The 2011 has an IBMP value of 4 nanograms an alcohol concentration of 14.2% and a preponderance of Cabernet Franc, Malbec with equal volumes of Merlot, Petit Verdot and Cabernet Sauvignon . The fact that the % alcohol is approximately the same in both wines suggests that the grapes were physiologically ripe when harvested which should reduce, to some extent, the pyrazine character. Yet there is a significant difference in the pyrazine concentration – vintage effect, I don’t know? Unfortunately pyrazine metabolism in grapevines is not that well understood. It seems that opening the canopy to increase sunlight penetration is not the only solution. Anyway the 2011 is already on its way to “a Gaddafi-like adornment”. It was awarded a gold in the Bordeaux category at the 2013 Old Mutual Trophy Wine Show and a silver at the 2013 Veritas awards. I will drop off a bottle at the Wine Cellar to see if they still taste “leafiness, thoughts of snapped green stalks and tramps through wet grass”. Thanks for reading and taking the time to comment. There is a chance that you were perhaps in the wrong place at the wrong time. I would happily drink and finish a bottle of your wine. I liked 80% of it. A lot. I hope that comes across. I was more interested in the conversation that happened in the office, than in the two wines particularly. If that makes sense. I was interested int he lively, and refreshingly straightforward discussion between you and Roland. And as Roland is someone I look up to greatly in the industry, because of his palate, knowledge and extensive tasting experience it gave me a lot to think about. I tried to capture those thoughts here, and perhaps push them a little in one direction. I am sure I know far less about pyrazine metabolism than you. I also do not want anyone to think that would cast off an entire region, but those are my impressions of Durbanville up to now, and those impressions must arise from somewhere. The best thing, I think, is for me to pop round, and we can have a conversation about your wines, terroir, and pyrazines. So I can learn more about Durbanville, and perhaps chip away at the impression I have of it. We can try. The style of wine created with under-ripe fruit. Usually describes some white wines with a dark-green hue, like Rieslings, that indicate an immature wine. 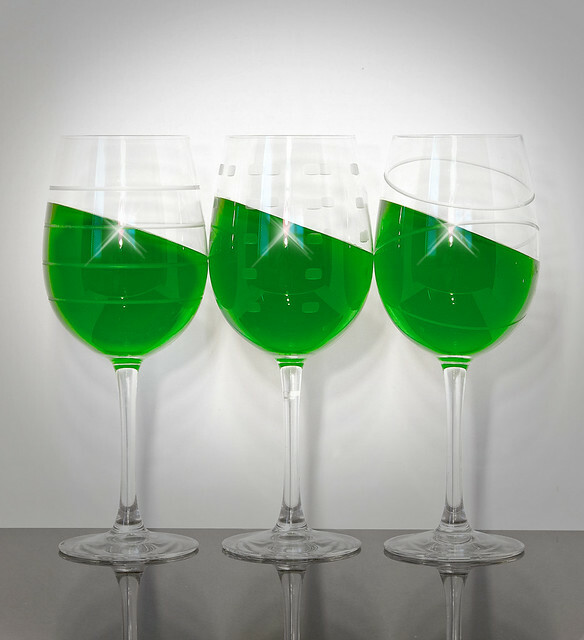 In recent years, the term “green wine” has taken on associate degree alternate that means, created with environmentally friendly production strategies.